Among lesbian, gay and bisexual adults, 30 percent of men and 36 percent of women also identify as having a disability. The disability community intersects with every other minority group, and the LGBTQ community is no exception. The LGBTQ rights movement has made tremendous progress over the past five years, but there is a lot of work left to be done to ensure that LGBTQ people are truly equal. 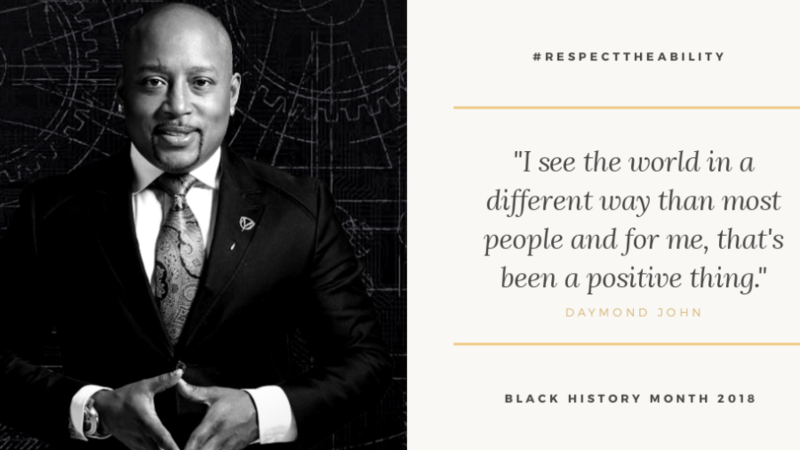 More than 5.4 million African Americans live with a disability in the U.S., 3.4 million of which are working-age African Americans with disabilities. There are 4,869,400 Latinx and Hispanic Americans living with a disability in the U.S.
Only 37 percent of working-age Latinx and Hispanic Americans with disabilities are employed in the U.S., compared to 73.9 percent of working-age Latinx and Hispanic Americans without disabilities. This is in line with the rest of the country, with fully one-in-five Americans having a disability and just 30 percent of those who are working-age being employed, despite polls showing that most of them want to work. 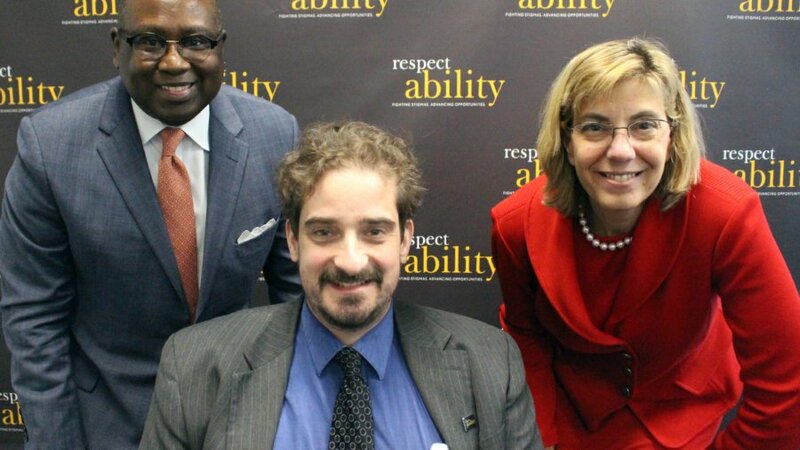 Rockville, Maryland, April 26 – A new series of PSAs is breaking ground on ensuring philanthropists are inclusive of people with disabilities. 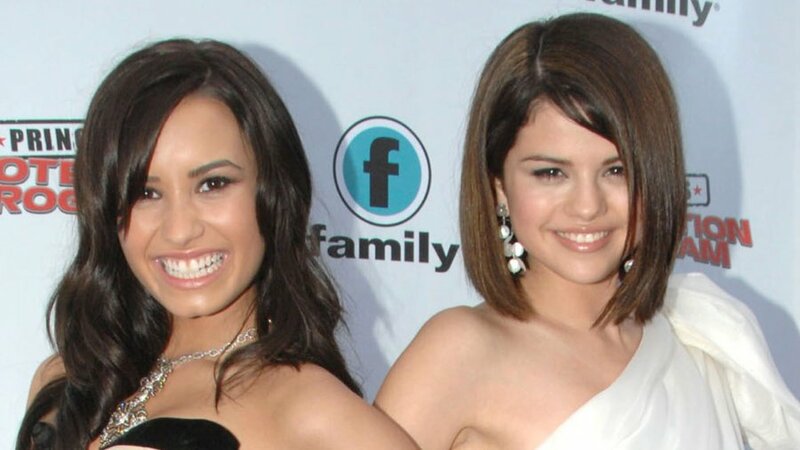 Representing a diverse group of people with disabilities, the stars speak directly to the camera in their own words. There was no script for the ads, only honest conversations with members of various disability communities. Participants in the ads include people who are deaf, blind, wheelchair-users or amputees or have Autism, learning differences or another disability. 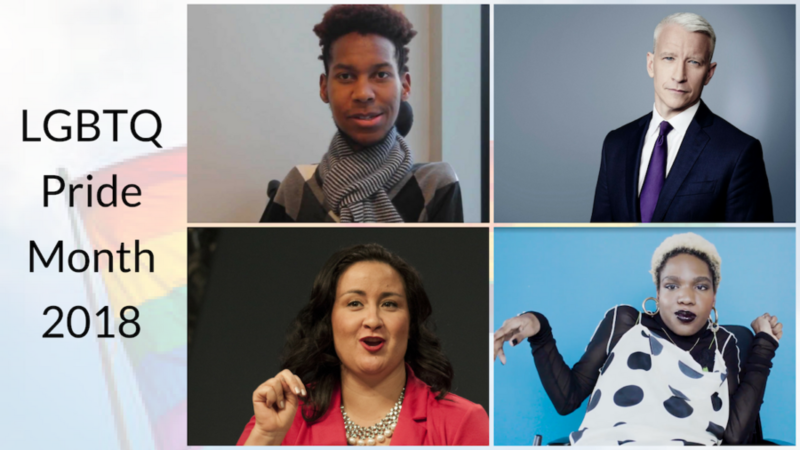 They include people who are African American, Hispanic, Latino, Asian, white and other backgrounds and are diverse in sexual orientations and identities. Participants communicate both verbally and with American Sign Language. The ads have captions, which is vital to 50 million Americans who are Deaf or hearing impaired. 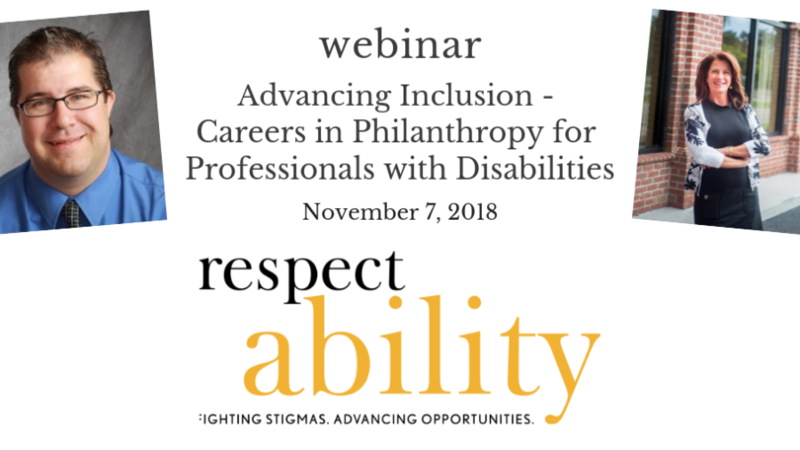 The ads, focusing on inclusive philanthropy, along with free resources, are viewable at: www.respectability.org/inclusive-philanthropy. 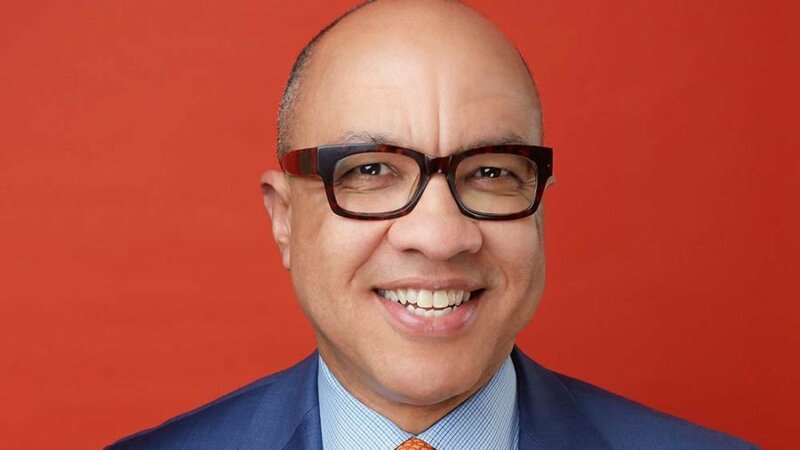 RespectAbility, the creator of the ads, is an education and advocacy nonprofit fighting stigmas and advancing opportunities for people with disabilities. More PSAs that focus on other disability-related topics will be released in the coming weeks. 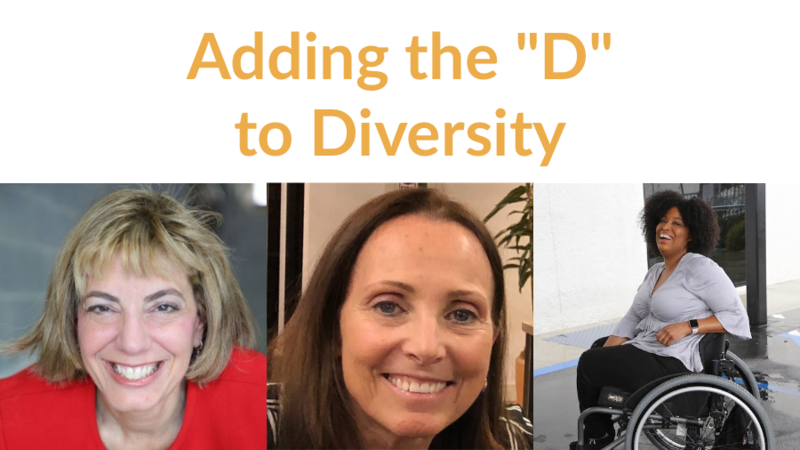 The people with disabilities in the ads represent the 56 million Americans who live with some sort of disability and exemplify why philanthropists need to include people with disabilities in boards, staffs, grantmaking and more. 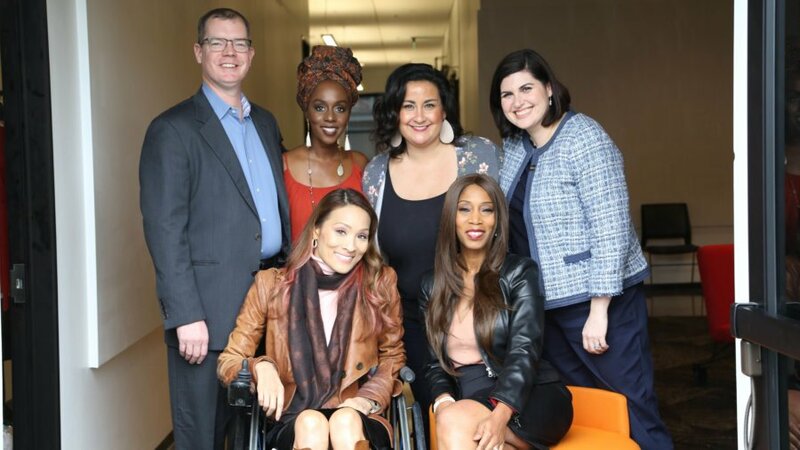 Washington, D.C., March 19, 2018 – The John D. and Catherine T. MacArthur Foundation joined a small cadre of exceptional champions for inclusion and equality by awarding $145 million in grants to groundbreaking projects that will include people with disabilities equally in their work. MacArthur’s initiative, 100&Change, asked grant applicants – no matter their sector or project goals – to review a series of questions and a check list to ensure the inclusion of people with disabilities in multiple aspects of the grant recipients’ proposed projects. Never before has a grant program anywhere near this size asked grantees to address how they plan to ensure access to benefits for persons with disabilities. The Rice 360° Institute for Global Health (Rice University) received $15 million to prevent newborn babies in Africa from dying. Indeed, every year, 1.1 million newborns die in Africa alone, mostly from preventable causes — pre-term birth, complications of labor and delivery, and infections. The grant from MacArthur will enable Rice and their partners to providing quality, comprehensive hospital care during birth, labor, and the first weeks of life with a goal of reducing newborn deaths in certain areas by 75 percent. 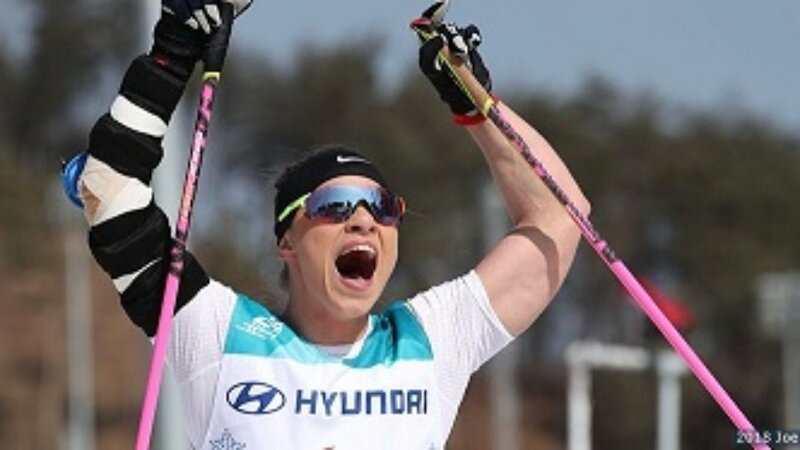 Oksana Masters reacts to winning the women’s sitting cross-country 1.1-kilometer sprint at the Paralympic Winter Games PyeongChang 2018 on March 14, 2018 in PyeongChang, South Korea.Washington, D.C., March 15 – Oksana Masters won a long-awaited Paralympic gold medal yesterday in a thrilling day of action that saw Team USA win three medals in the cross-country sprint. Masters, who already owned five Paralympic medals (two silver and three bronze) in rowing and Nordic skiing, grabbed the title of Paralympic champion for the first time in her career. But Masters’ life did not start out easily. Like more than 3 million other children with disabilities around the world, she had been abandoned to an orphanage. Indeed, more than 80 percent of the more than 8 million children living in orphanages around the world have a living parent who would prefer to care for their child if they had the resources to do so. Children with disabilities are often placed in orphanages because of stigmas, poverty and their families’ inability to access basic services such as education or specialized assistance for children with disabilities. Research demonstrates that residential care has a negative impact on children’s cognitive, physical, emotional, and intellectual development. In addition, well-meaning people donate millions of dollars to orphanages, while funds spent on orphanages could support integration of ten times as many children into families and achieve better results.